I hadn’t realized that before and pondered the authors’ fascination with this word. What I realized is that ‘remains’—at least in my mind, I can’t speak to the authors’ intentions—conjures up an image of what is left behind when the layers of oneself are peeled away; what matters most to you; the husk, or core, of your being, of your humanness. All of us want to be heard, to matter, to be loved and acknowledged. I believe this innate need to be noticed—whether consciously or not—is the reason why the word ‘remains’ is so often used in book titles across all genres. 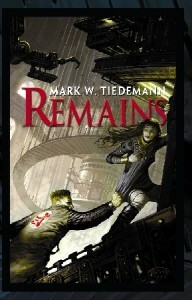 Below is a selection of interesting books from Amazon whose titles also contain the words ‘remains’ or ‘remain.’ Enjoy! In April 2007, Virginia Tech student Seung-Hui Cho went on a rampage that resulted in the deaths of thirty-two students and faculty members before he ended his own life. Former Virginia Tech professor Lucinda Roy saw the tragedy unfold on TV and realized Cho was the student she had struggled to get to know; the one she believed was seriously depressed and in need of intervention. But when she approached campus counseling, she was repeatedly told they could not intervene unless a student sought counseling voluntarily. Eventually Roy persuaded Cho to seek help, but, unbelievably, he never received a comprehensive evaluation—a startling discovery Roy learned only after the massacre. No Right to Remain Silent is one teacher’s cri-de-coeur—her dire warning that given the same situation today, two years later, the ending would be no less terrifying and no less tragic. This is the story of Deo, who immigrates to America from Burundi in search of a new life. Having survived a civil war and genocide, he lands at JFK with $200, no English, and no contacts. After eking out a meager living, Deo begins meeting the strangers who will change his life, eventually pointing him in the direction of Columbia University, medical school, and a life devoted to healing. Poet, novelist, and popular YA writer Benjamin Alire Sáenz writes to the core truth of life’s ever-shifting memories. Set along the Mexican border, the contrast between the desert’s austere beauty and the brutality of border politics mirrors humanity’s capacity for both generosity and cruelty. In his numbered series “Meditation on Living in the Desert,” Sáenz turns to memory, heritage, and a host of literary progenitors as he directly confronts matters of faith, civil rights, and contemporary politics—always with the unrelenting moral urge to speak truth and do something. What Remains is a haunting memoir about a girl from a working-class town who becomes an award-winning television producer and marries a prince, Anthony Radziwill. Carole grew up in a small suburb with a large, eccentric cast of characters. At nineteen, she struck out for New York City to find a different life. Her career at ABC News led her to the refugee camps of Cambodia, to a bunker in Tel Aviv, and to the scene of the Menendez murders. Her marriage led her into the old world of European nobility and the newer world of American aristocracy. 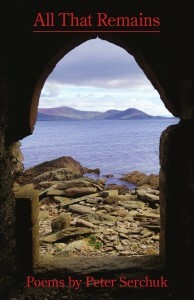 The book begins with loss and returns to loss. A small plane plunges into the ocean carrying John F. Kennedy Jr., Anthony’s cousin, and Carolyn Bessette Kennedy, Carole’s closest friend. Three weeks later Anthony dies of cancer. With unflinching honesty and a journalist’s keen eye, Carole Radziwill explores the enduring ties of family, the complexities of marriage, the importance of friendship, and the challenges of self-reinvention. From 1837 to 1838, thousands of Cherokee Indians were marched from their homelands in Georgia to exile in Arkansas by the men they once befriended. The Cherokees journeyed through bitter cold and blazing heat, with little food or water. One out of four died—and with them died a culture and civilization that had existed for hundred of years. Today, only the names remain of this once great nation. Haunted by an ancestor’s tale of near-death on a distant battlefield, James Carl Nelson set out in pursuit of the scraps of memory of his grandfather’s small infantry unit. Years of travel across the world led to the retrieval of unpublished personal papers, obscure memoirs, and communications from numerous Doughboys, as well as original interviews of the descendents of his grandfather’s comrades-in-arms. The result is a compelling tale of battle rooted in new primary sources, and one man’s search for his grandfather’s legacy in a horrifying maelstrom that is today poorly understood and nearly forgotten. This book is an important and powerful tale of the different destinies, personalities, and motivations of the men in Company D and a timeless portrayal of men at war. They were the men of the now-legendary Easy Company. After almost two years of hard training, they parachuted into Normandy on D-Day and, later, Operation Market Garden. They fought their way through Belgium, France, and Germany, survived overwhelming odds, liberated concentration camps, and drank a victory toast in April of 1945 at a Nazi hideout in the Alps. Here, revealed for the first time, are stories of war, sacrifice, and courage as seen by one of the most revered combat units in military history. In We Who Are Alive and Remain, twenty men who were there, and the families of three deceased others, recount the horrors and the victories, the bonds they made, the tears and blood they shed and the brothers they lost. This novel is a profoundly compelling, yet tragic portrait of a perfect English butler and his reaction to his fading, insular world in post-war England. At the end of three decades of service at Darlington Hall, Stevens embarks on a country drive, during which he looks back over his career to reassure himself that he has served humanity by serving “a great gentleman.” But lurking in his memory are doubts about the true nature of Lord Darlington’s “greatness” and graver doubts about his own faith in the man he served. This book was also made into a movie starring Anthony Hopkins and Emma Thompson. What Remains follows the tumultuous life of journalist Kate Price from her first assignment as a naive and idealistic young correspondent in Riyadh in 1991, to Baghdad in 2004, where she can’t feel anything unless it cuts her to the bone. We track her through the war zones of the Arabian Peninsula, Palestine, South Africa, Bosnia, Rwanda, Chechnya and Iraq, through harrowing scenes of violence and destruction as she pays the price of bearing witness to unspeakable calamity and cruelty. Yet in the face of that horror, where friendship can be life’s currency and love is often fleeting, comfort can be found in the smallest and most tender moments. On her very first trip into a war zone, Kate meets legendary photographer Pete McDermott, and it is their journey together that lights up the pages of this remarkable novel. What Remains is internationally acclaimed photographer Sally Mann’s five-part meditation on mortality. Wow! 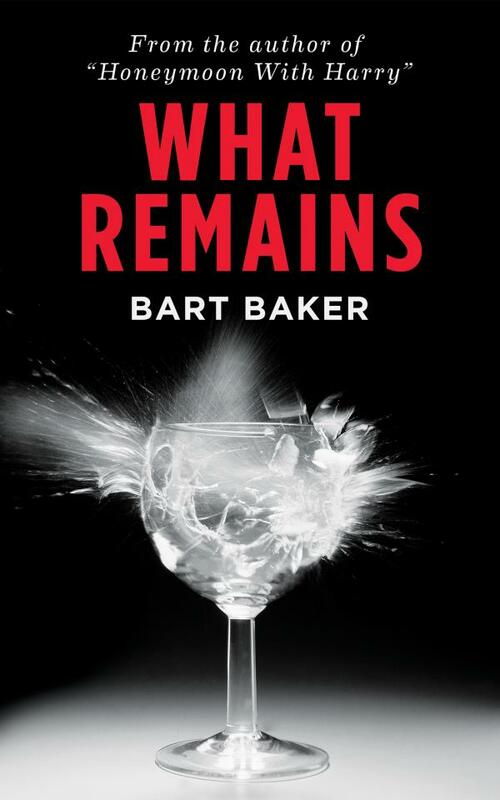 How is this for synchronicity: I mentioned earlier that my client Bart Baker changed the title of his book from Immediate Family to What Remains. Well, Sally Mann has a book titled What Remains as well as a book titled Immediate Family. You remain my favorite wife and proofreader! Your thoroughness is amazing. I am thrilled to have you work with us!